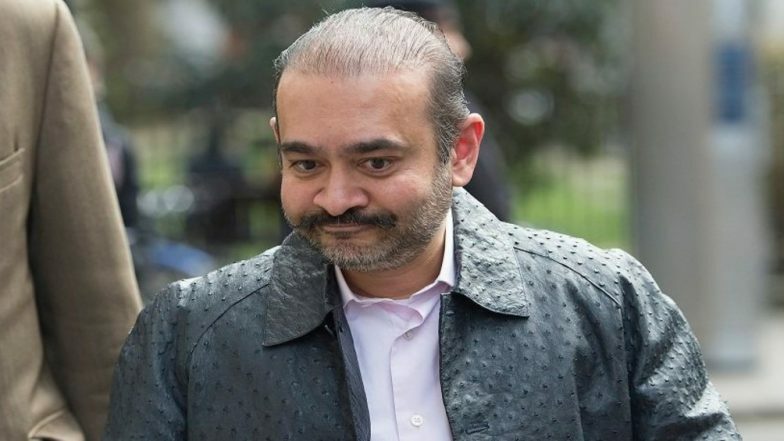 New Delhi, March 19: All expeditious efforts are being made to get jeweller Nirav Modi extradited from the UK, CBI sources said Tuesday. They said the central probe agency is monitoring the developments taking place in London and all legal assistance is being extended to take the extradition request forward in that country. The legal procedure of extradition of an accused takes its own time and Indian investigators, both from the Central Bureau of Investigation (CBI) and the Enforcement Directorate (ED), are tracking the case, the sources said. ED officials had Monday said that a London court has issued an arrest warrant against jewellery designer Modi, the main accused in the USD 2 billion PNB scam case, in response to the probe agency's request for his extradition in a money laundering case. Nirav Modi to be Produced in London Court on March 25, Arrest Warrant Issued: Report. The financial investigation agency was recently informed about the issuance of the warrant by the Westminster Magistrate Court and Modi is expected to be put under formal arrest by the local police soon. The CBI and the ED are investigating Modi, his uncle Mehul Choksi and others for alleged money laundering and corruption to perpetrate the alleged scam in the Brady House branch of the PNB in Mumbai that was unearthed last year.